HANK is as much as an attitude as it is a format. 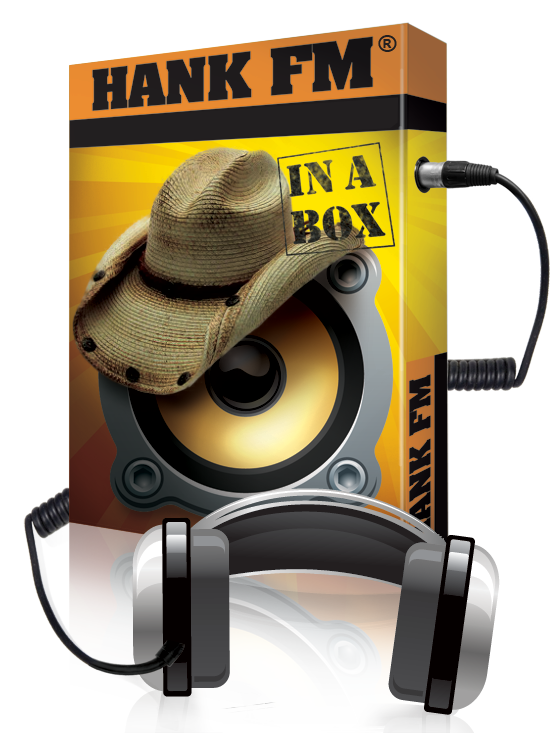 Originally launched in March 2005 as the format that plays “Anything Country” to much success in Indianapolis, IN on WLHK, the HANK brand has transcended and evolved into other areas of country as well. 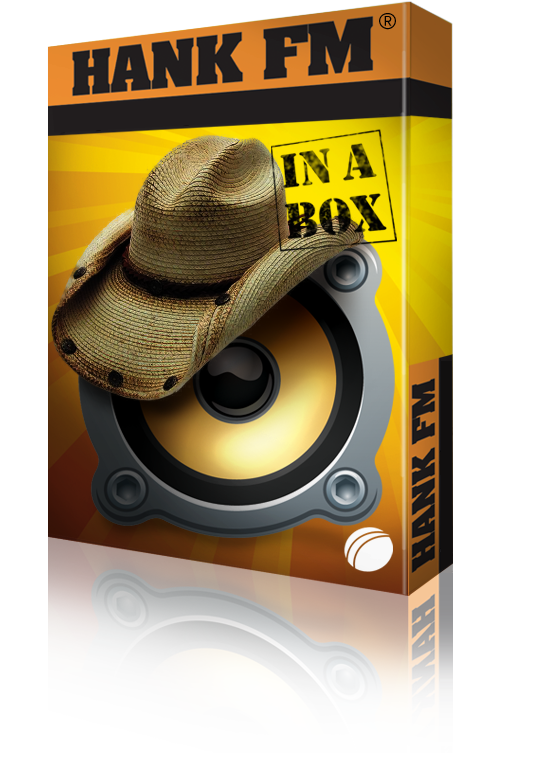 At its core HANK is a very strong and creative top of mind approach to country radio that cuts through the clutter. 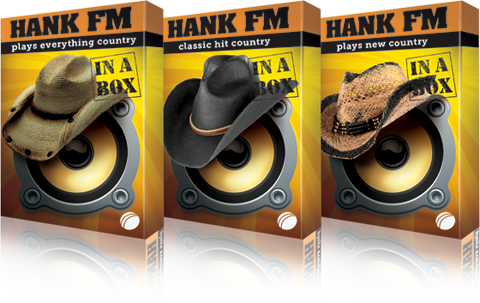 Our experience has shown us that not only can HANK work as a format that delivers that wide and unique mix of country hits from the 70's, 80’s, 90’ ,00’s and Today, but the HANK brand can be also be customized and incorporated to work just as well with other narrower genres of country such as New Country, and Classic Hit Country. At HANK we understand that when the right music mix is combined with the right message using the right cutting edge imaging, it can create that perfect storm for success. There are so many musical choices competing for peoples’ attention today, that standing out and being noticed has become an even bigger challenge. To be competitive and relevant in today’s radio environment requires that you need to be more than just a sterile stream of music. HANK is anything but sterile! "Hank's imaging is personality driven, funny, topical, and regularly updated. Hank knows what buttons to push and connects well with our listeners who often quote Hank's lines back to us on-site and on the phone." We are also constantly researching and testing the music library to make sure we find out what HANK listeners think of any songs added to the library both old and new. Our online tool not only provides you with the ability to gather invaluable perceptual information, it is also a great tool to communicate with your listener’s one on one. 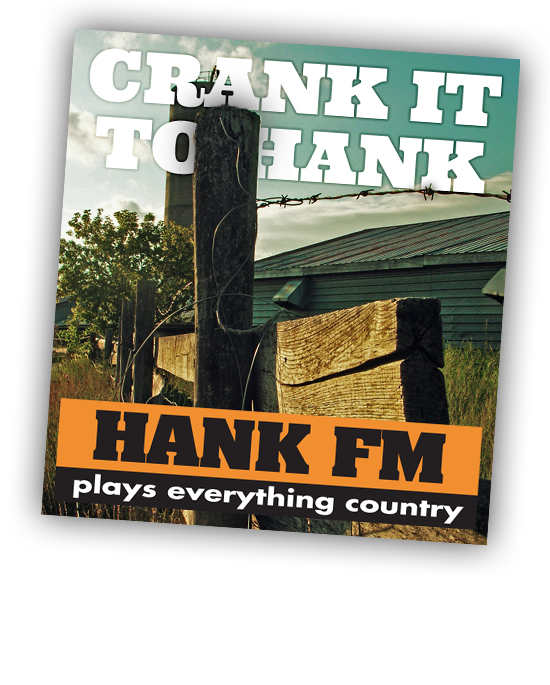 Not only do we provide everything you need to get HANK on your airwaves, we also will give you access to some amazing HANK creative concepts that we have been a part of designing for stations across North America with fantastic results. How can I get HANK for my market?